It takes a great team to make exceptional cider. Jordan grew up on Riverside Farms, and has returned home after years of working abroad. He has a passion for craft cider making and saw an opportunity to divert some of the family fruit into something new and exciting. Now as an employee of Riverside Farms, he is there for the entire process, from budding tree, to harvest, to pressing, and bottling. Jordan is very skilled at monitoring and projecting the cider outcomes and has led us to awesome batches of cider, each & every time. Sam has an eye for design and loves all things crafty. She is an Interior Designer by day and a label making, website developing guru by night. She is excited about this new adventure with both her husband, Jordan, and her family, and is looking forward to the first bottling so she can hit the ground running & hustle to get this on the shelves. She enjoys networking and meeting other cider makers, enthusiasts, and retailers in order to connect and grow local businesses within the Columbia Gorge. Tony, alongside Sue, has devoted his life to living and working the land (in addition to being a dedicated Family Practitioner in Hood River). He has a passion for being outside and working with the land. His uplifting and go-getter attitude is infectious for those around him, and he is always looking for new adventures around the farm. Alongside of Jordan, he is brilliant with developing the cider and perfecting the production process. His contribution is essential to the quality taste of the ciders. Sue married into the farm business, and has been at Riverside Farms since the 1970s and has been essential in its growth and management for decades. She has devoted her lifes work to building a legacy and riding out the difficult life of being a family farm orchardist. She is passionate about being as sustainable and environmentally conscious as possible and enjoys sharing her farm with her ever growing family of kids and grandchildren. Simply put, she is amazing. 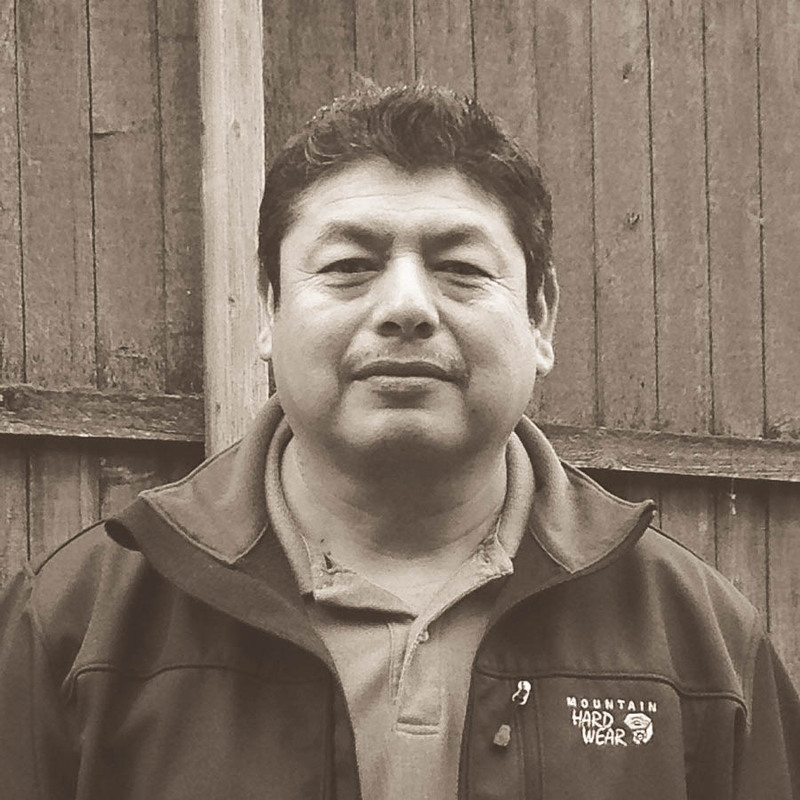 Enrique has been with Riverside since the 1980s and is a longtime member of “the Riverside family.” The farm’s daily operations are dependent on the huge array of skills Enrique brings to the table. He is a problem solver, fruit tree whisperer, and has been integral in the cider production and process since its inception. Tony has also been with Riverside since the 1990s, and is also a huge part of our family. He brings a diverse set of skills that consistently helps the farm function more smoothly. He has a positive attitude and enjoys working along Enrique and the family to develop more efficient and effective procedures for running the farm.